Welcome to the second edition of Friday's Five, my weekly feature in which I ask another blogger five questions. Today I'm interviewing a mom to three precious little boys, Lisa from Oh Boy, Oh Boy, Oh Boy. Lisa works full-time outside the home, in addition to pursuing her interests in professional photography. 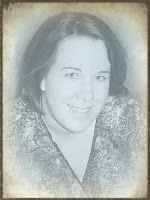 She is an avid blogger whose heart for children is evident in her niche blogs, which focus on ADHD and pediatric cancer. She is one busy woman, so I really appreciate her taking time out of her schedule to answer Friday's Five. 1. What are your children's ages and what are their favorite videos or TV shows at the moment? My boys are 6, 5, and just shy of 1 year. My older boys love things like iCarly! The baby loves anything with music but isn't really watching TV. 2. Describe something that you've learned recently from one of your children. I just blogged about this [last] Friday, but my six-year-old is always taking the lessons we try to teach them and then teaching me how to live out those lessons. The most recent example was about watching out for others and how my son thought to do something that should have been so hugely obvious to me to do. 3. You're very honest on your blog about the highs and lows you've experienced while juggling work, family, and other responsibilities in life. What word of advice or encouragement would you give to someone who's struggling to balance it all? Although I hardly feel like one to give advice here, for me the thing that I let guide my choices each day is what would matter if it was all over tomorrow. If I didn't have one more day with my family, would it really matter if all the dishes were washed? Of course, there are still things that I HAVE to do, just like everyone, in order to provide food, shelter, and clothing for my kids, but in the areas where I have a choice, I try to use that as my guide. 4. I'm impressed at how many readers follow your blog. Please share a tip or strategy with new bloggers who want to increase their site's readership. What I've found works for this is pretty much the Golden Rule . . . do unto others. If you want followers, go and find blogs you enjoy and follow them; if you want comments, make sure you are leaving comments. I actually have a list of 200 blogs I follow through Blogger and now have had to start finding those that I can subscribe to other ways since Blogger only allows you to follow 200 blogs. BBQ rib patty sandwiches, chips, and corn. Thank you, Lisa! I needed the reminder to keep the housework in perspective. I find myself feeling so grumpy about the mess around here that I put too much emphasis on maintaining order and not enough on enjoying my kids while they're young and still want to hang out with me! Join me again next week when I sit down with another fab blogger for a session of Friday's Five. Or slip a little truth serum in their coffee and make 'em talk into the recorder. Same diff. I forgot to comment last week, but this is a cute concept. It must take quite a bit of energy to research your subject well enough to ask pertinent questions. Kudos! Kim, this was a great interview!! I'm one of Lisa's followers too and I'm always amazed at how she juggles it all! I'm also a follower of Lisa's. Another great pick for a "Friday Five"! Does the Google reader only allow 200? What is this "interview" thing? Sounds neat. Awdrey: Lisa can correct me if I'm wrong, but I think that Blogger's "Blogs I Follow" only allows 200. I'm guessing that Google Reader allows an infinite number of subscriptions. The interview thing is Friday's Five, my own little weekly feature in which I ask another blogger 5 scintillating, fascinating, soul-stirring questions. Or what they had for dinner. It's my way of avoiding following 200 blogs.